Wai Ming's original oil paintings and fine art reproductions, mainly of oriental subjects, are admired and collected by people throughout the world, including the famous and foreign dignitaries. Seldom has the impact of an artist been so immediate as that of Wai Ming on his arrival in San Francisco from Hong Kong in 1974. His artistic sensitivity is combined with a startling realism that has caught the attention of the public. His four paintings that he displayed at Swanson Art Gallery in San Francisco for the first time in 1975 were all sold within the first day. Not only has the demand for his work grown steadily, but he is acknowledged by many as one of the Bay Area's leading artist. 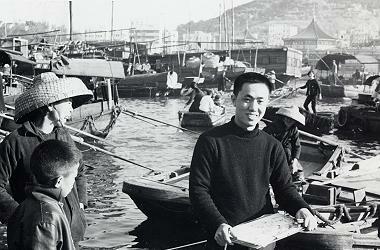 Wai Ming was born in Canton in 1938, the son of a school master with nine children. Extremely poor as a child, he was raised in Hong Kong enduring many hardships. There, Wai Ming developed his drawing techniques without any art education and began painting what he saw. Though self-taught, Wai Ming paints with a rare professionalism which makes an important social statement.